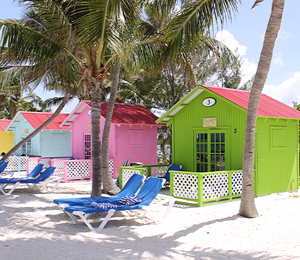 Experience ultimate relaxation and pampering in the Bahamas with our My Bahamian House tour. You will join a small group as you meet your hosts for the day. First, you will go visit the waterfront home and take a tour. After, you can decide what you would like to do! You may swim, kayak, use a stand-up paddleboard, snorkel, or simply relax on the sandy beach! Once you work up an appetite, your private chef will prepare a local, Bahamian dish of the day. This will be paired with an open bar so feel free to enjoy spirits or cold beers. The meal is served "alfresco" style in our well-kept gardens. All you have to do is bring sunscreen, a towel, and a swimsuit and let us take care of the rest! Alcoholic drinks for adults over 21 years old only with valid ID. I have been to the Bahamas many times, but My Bahamian House is one of my favorite trips! It includes everything that everyone should do here. As a Bahamas veteran, I can say only the best about this experience!